Emails with the subject of COCA COLA AWARD PROMOTION 2012, are a scam. Recipients are advised to DELETE the email immediately upon receipt. Do NOT click on any links contained in the email. Do NOT provide your personal information to the senders of this email scam. 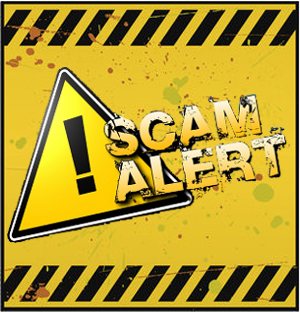 If you are a victim of such a scam contact the Attorney General’s Office for your State. You can also file a complaint with the Federal Trade Commission and the Internet Crime Complaint Center. This is a scam – the Coca-Cola Corporation does not operate a lottery, of any type. This email appears to come from CocaCola London. The Coca-Cola Corporation does in fact have a London office. However, this email is fraudulent and does not originate from Coca-Cola. This email is an Advance Fee Scam or otherwise known as a 419 Scam, sometimes called Nigerian Scam. picked randomly by computerized balloting,powered by the Internet. Privileged to Pick One Email Address Each at Random. The email you received is referred to as an advanced fee or 419 scam. You should consider your bank account compromised, and should contact your bank immediately. You should also consider closing your current account and opening a new account, as you have given, the criminals, your account information and they can now withdraw funds at will. I have recived your mail and take action regarding bank account after that please advice me now what i will do . If you have not had money transfered out of your account, then you don’t have to take any further steps with your bank. Since, your bank is now aware that you may be a victim of fraud, they should be monitoring your account for suspicious activity. As you appear to be in Pakistan, I can’t advise you on the appropriate course of action under Pakistani law, you will need to consult Pakistani law enforcement.